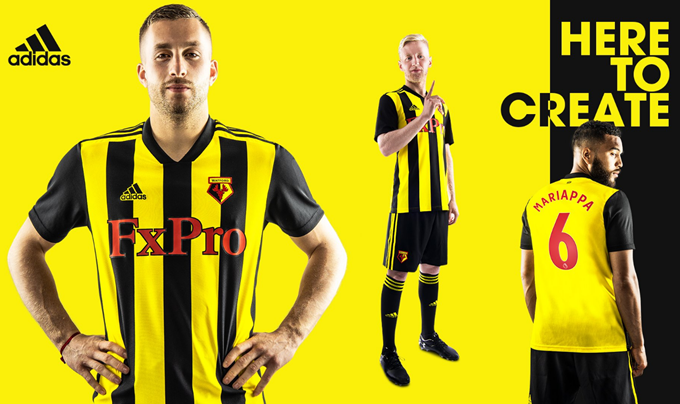 With the new home strip launched by conventional means a month or so ago, Watford decided to blaze quite a different trail to unveil the accompanying away kit. Indeed, the Hornets afforded first viewing of their new change strip to the loyal travelling fans who attended all of their 19 away matches last season. The shirts were posted out to the fans in question, with most taking reception of the green Adidas jersey first thing on Friday morning. The box also contained a message from club captain Troy Deeney. Just a quick note to say a big thanks from me and all the lads for being there for us without exception last season. Thanks from the club and FXPro as well, because they’ve sorted this out for you. I know some of you getting this might not be the type to wear replica shirts but find a good home for it among family and friends and remind them that you receiving it is attached to a lot of pride in our club. Supporting the biggest clubs in the country is easy, You don’t have to be there all the time – you can watch them on telly and say you’re a fan. It’s different with us and that’s why we wanted you to know that it matters. And if you do the social media stuff, send Watford a picture or video on Facebook, Twitter or Instagram… and we’ll share them so everyone knows you were with us all the way last year. All 19 games. That’s a decent effort by the way. We’ll see you soon. Not long until it all starts again. A full, glitzy roll-out of the new kit can probably be expected in due course, but this is a wonderfully novel way to both get the first images circulating on social media and give a little something back to the most road-worn of their fans.